My little Type A girl has big dreams, and she doesn’t mind sharing them with anyone who will listen. She wants to be a gymnast, a missionary, and a jewelry maker. Last week she stated that she wanted to be a missionary that goes to other countries and makes bracelets. With her drive and determination, I an confident that she will accomplish whatever she sets her mind to. She is compassionate, hard working, and a quick learner. While she has numerous experiences and life events awaiting her, I am happy that she remains my little girl playing with Disney Princess dolls in her room for now. Yet, as her mom, I know that it is my duty to prepare her for all that is to come. I want to give her the tools to see her big dreams come to life. At the age she is now, I do this by teaching her new talents and crafts. This stimulates her mind and teaches her perseverance, determination, and the ability to see a task to the end. These are all attributes that she will need as she grows. Last week, she wanted to learn a new bracelet making technique. Instead of making one, we made three! My daughter is on cloud nine for an upcoming Disney World trip, and she wanted to make a bracelet to coordinate with three of her Disney Princess dolls. Her brother, who underwent cancer treatment last year, is receiving a Make a Wish trip to Disney World soon, and she is more than happy to get to tag along! 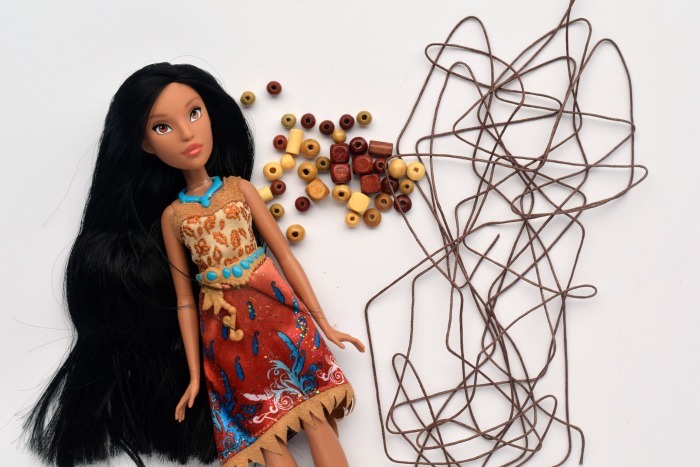 The excitement has spilled over into her crafting, drawing, and jewelry making! The following three bracelet tutorials are separated into easy, intermediate, and advanced. 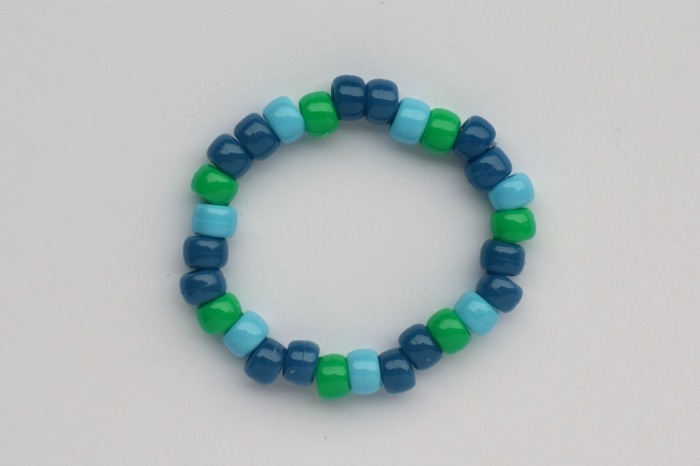 If you have a small child who is just learning, have them start with the simple pony bead bracelet. 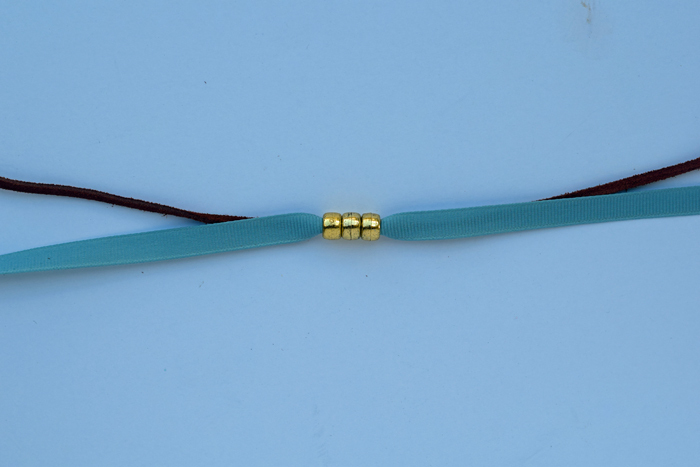 Once the child has mastered it, encourage them to move on to the ribbon and leather bracelet. 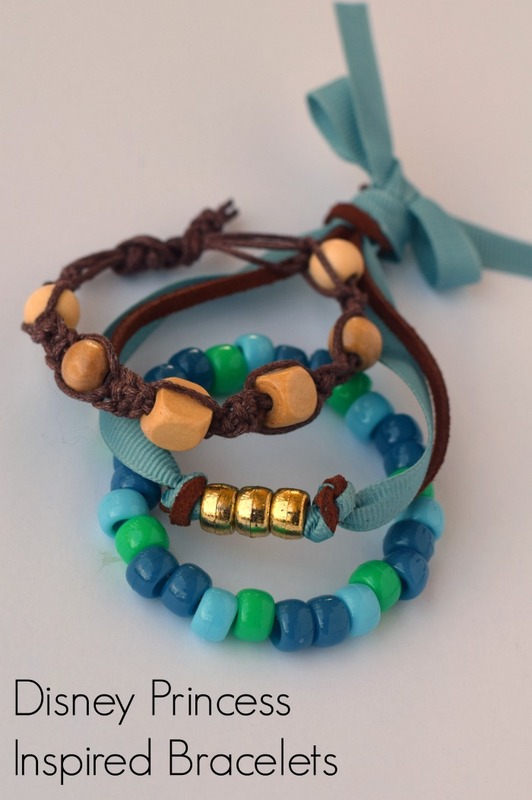 For a child ready to learn knots in bracelet making, the cord and bead bracelet is an advanced project for kids. Note that all of these bracelets are geared towards young ones, aged 6-8, so the “advanced” bracelet project may not be challenging for a teen or adult. Use tape to secure one end of the elastic cording to the table. Measure the child’s wrist, if possible. 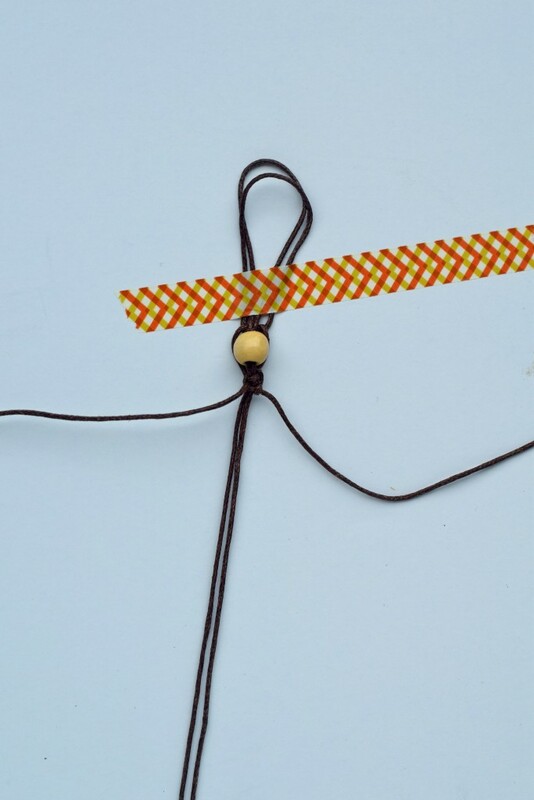 String the beads on the cording in the desired pattern. Leave excess cord at the end for tying the bracelet. It should be long enough to go around the child’s wrist comfortably but without breaking. Carefully remove the tape. Tie the ends in a knot to secure. 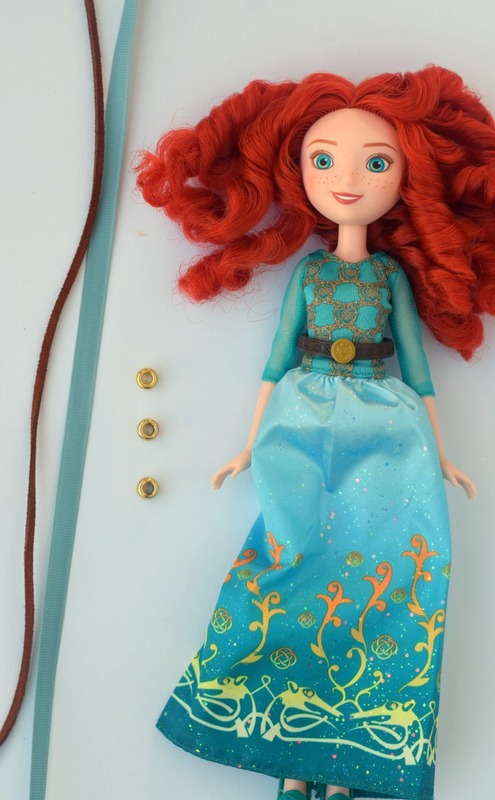 This bracelet was inspired by Merida. She is soft AND strong at the same time, just like the combination of the ribbon and the leather. 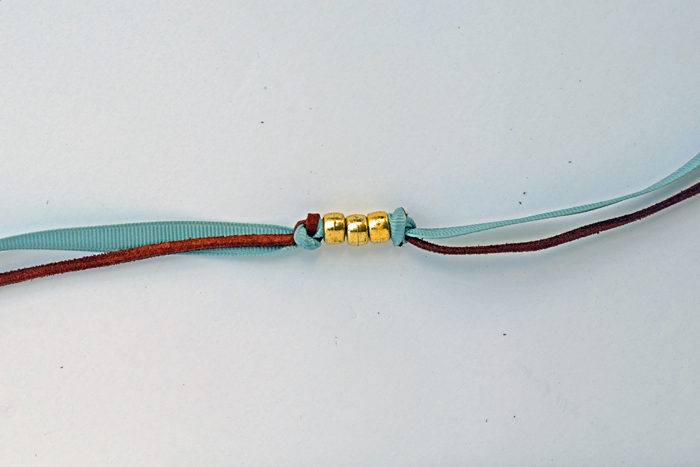 Thread the beads onto the ribbon and leather pieces together. Knot on both sides of the beads. 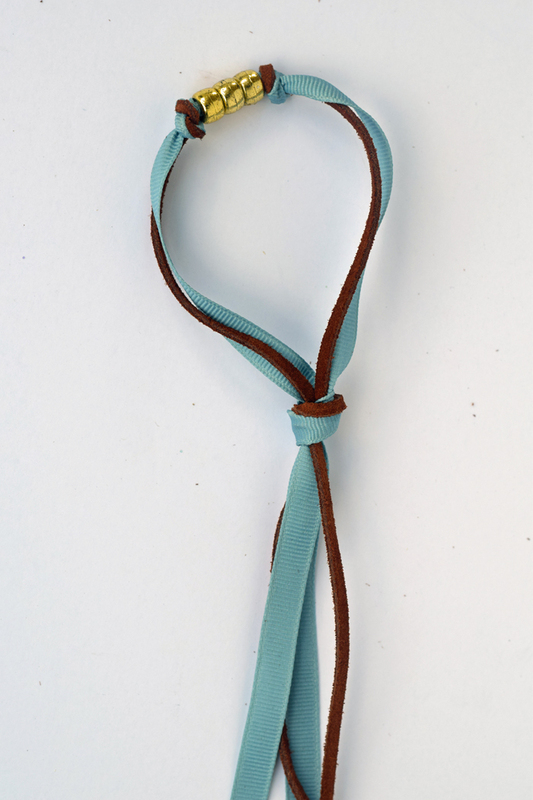 Fit the bracelet around wrist and knot the four ends together. Make sure that the bracelet will fit around the wrist. Trim the ends close to the knot. 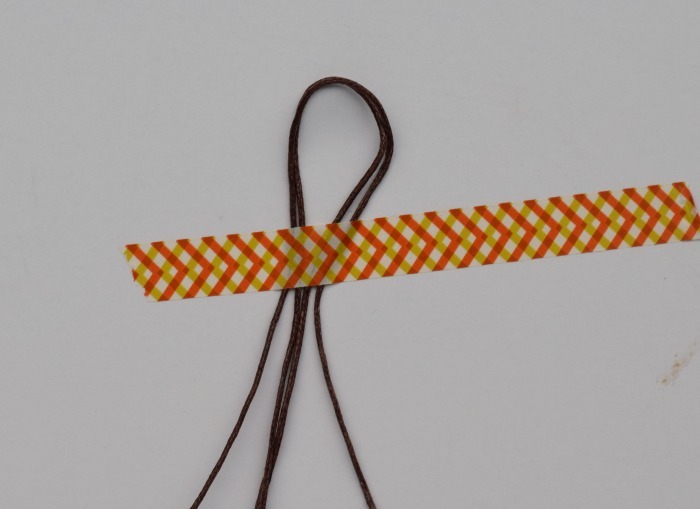 If desired, use a bit of jewelry glue or fabric glue to secure the knot even more. 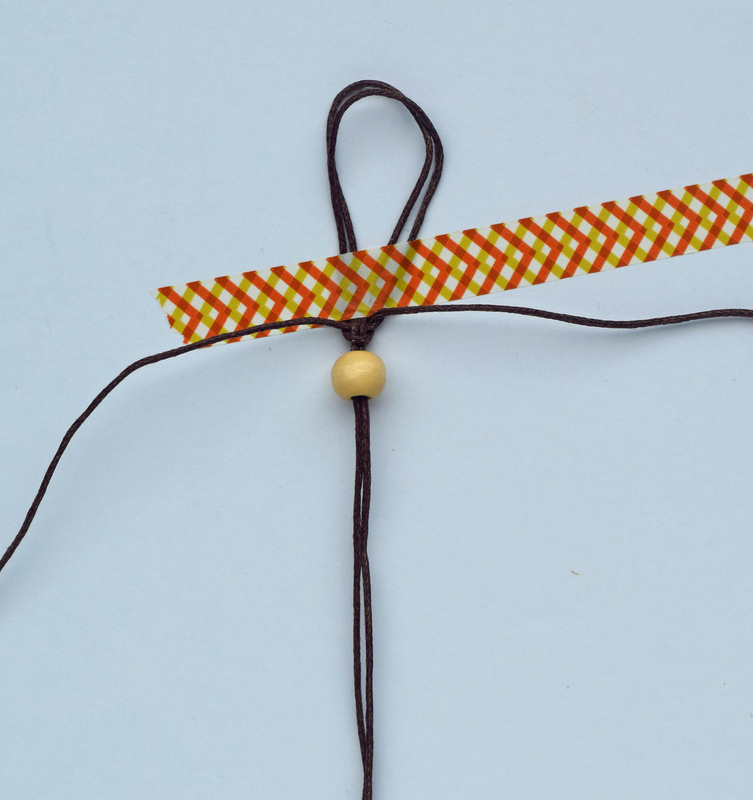 Place the two cording lengths together and fold in half. 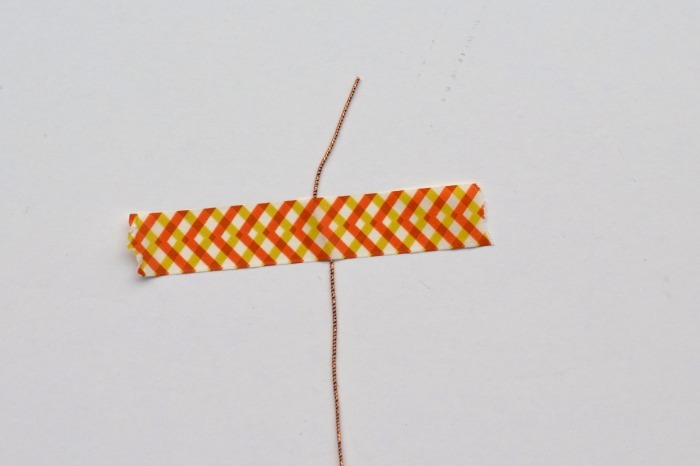 Tape the cording on a hard surface. The two pieces in the center are the pieces where the beads will go. The pieces on the outside are the ones that will be used for braiding. 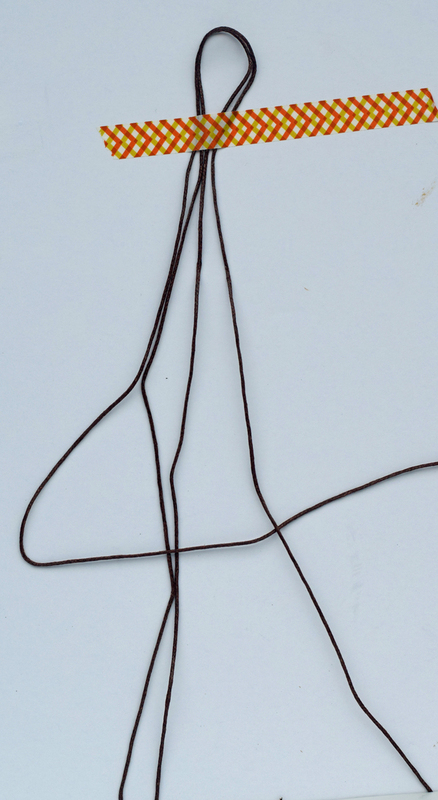 Take the left strand and cross it over the other three strands. Bring the right strand over the middle strands and under the left strand. 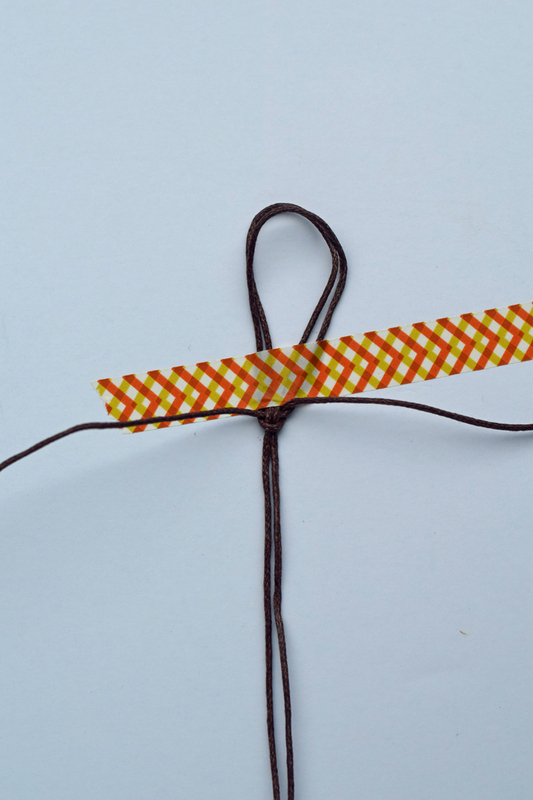 Pull the two strands tightly to create a knot. Add a wood bead on the two middle strands. Repeat the cord braiding for four more knots under the bead. Place another bead on the center strands. 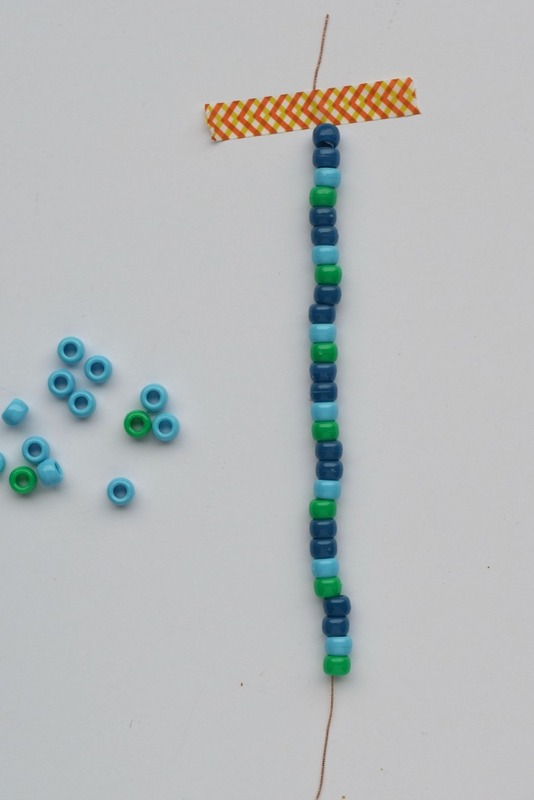 Continue alternating braiding and beads until the bracelet is the correct link for the kiddo’s arm. 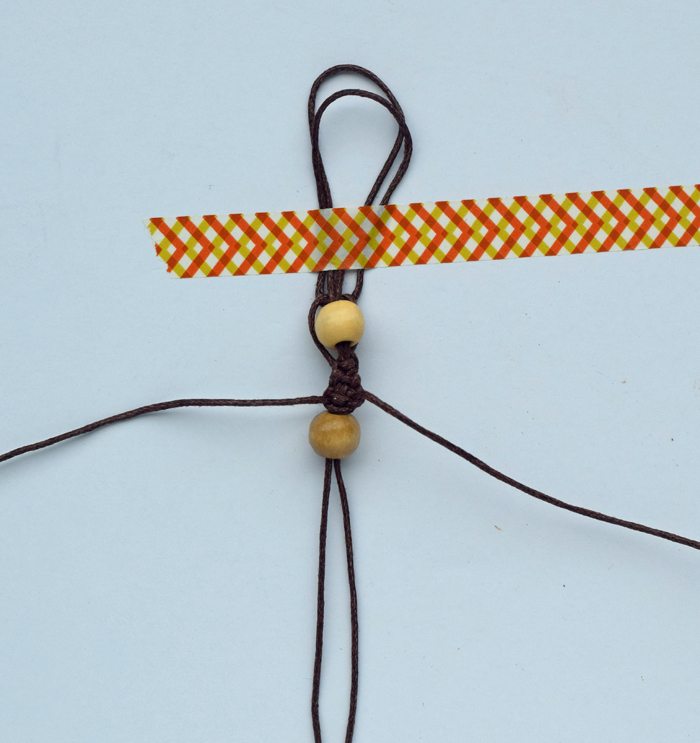 Tie the ends in a knot to secure and trim the ends. Where do we find our Disney Princess inspiration? Toys “R” Us, of course! 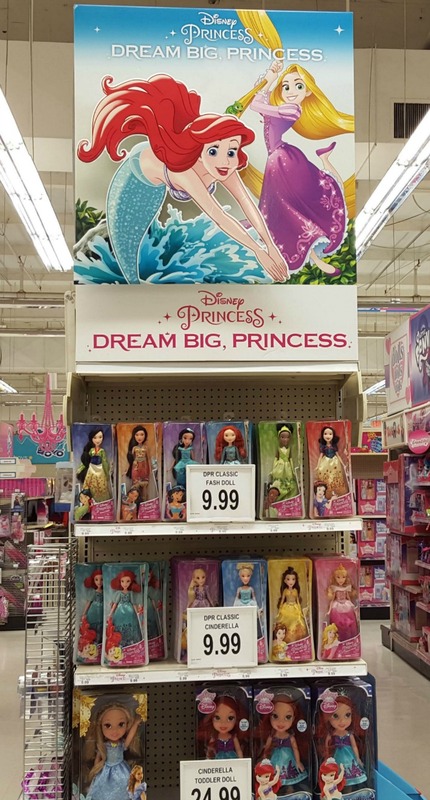 Toys “R” Us has an entire aisle dedicated to nothing but royalty, and their exclusive options make it the ultimate Disney Princess shopping experience. 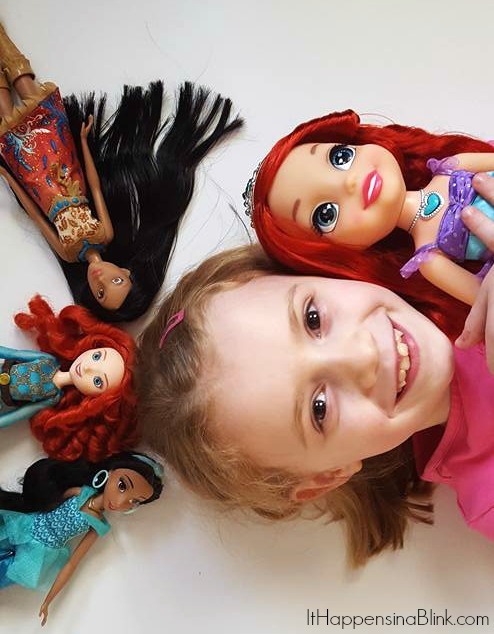 The Disney Princess “Dream Big, Princess” campaign seeks to let all princesses, no matter how small, know that they can dream big and be anything that they want to be. After all, the story line of each Disney Princess includes one of kindness, bravery, and other characteristics that we all want our little princesses to emulate! Photo credit to Laura Funk. 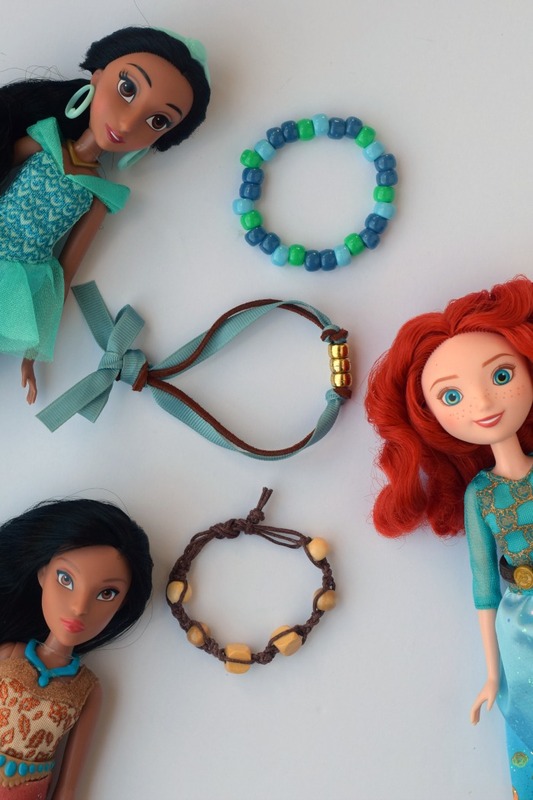 The Hasbro Disney Princess Royal Shimmer Dolls that served as the inspiration for the bracelets in this post can all be found at Toys “R” Us. There are 11 princesses in the line, and each have removable shoes, movie inspired features, and a shimmering gown. 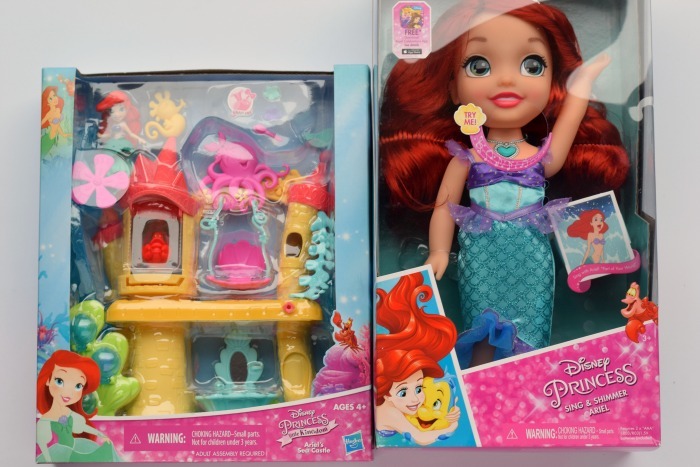 The Disney Princess line at Toys “R” Us also includes the Little Kingdom Ariel’s Sea Castle and the Toys “R” Us exclusive Disney Princess Sing & Shimmer Toddler Dolls. The Little Kingdom Ariel’s Sea Castle works with all the other items in the Little Kingdom line, including dolls of other princesses. 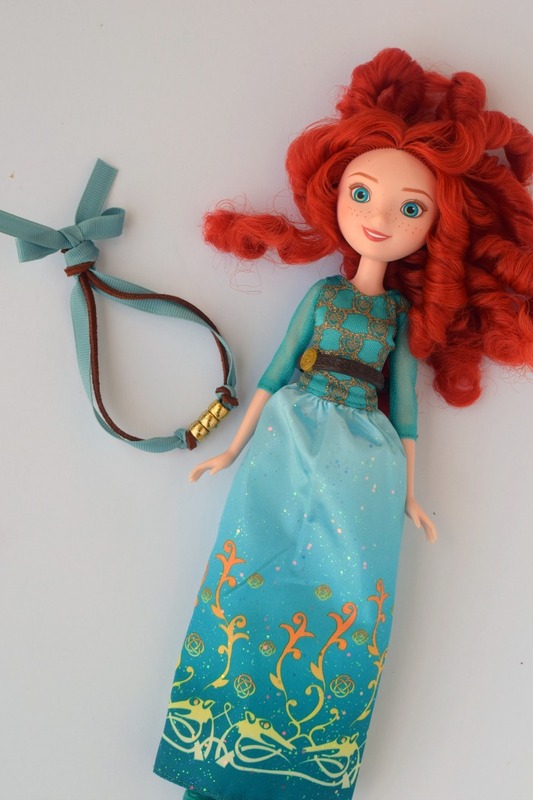 My daughter liked the 5 Snap-ins that came with the Little Kingdom Ariel’s Sea Castle. She enjoys giving the little 3 inch doll a customized look! 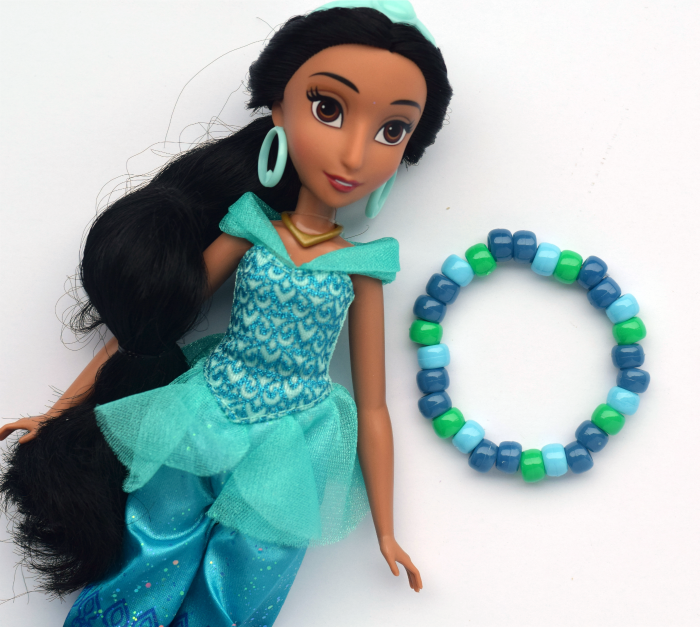 Sing & Shimmer Princess Ariel sings “Part of Your World” when you push her necklace. 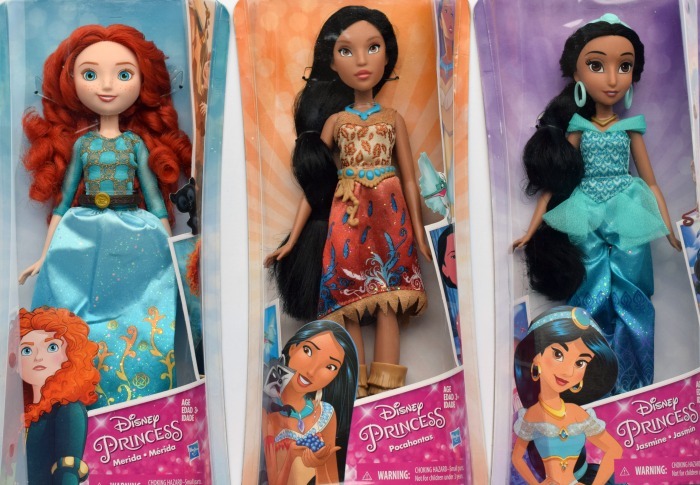 The Toys “R” Us Sing & Shimmer line also includes musical dresses, musical accessories, and and more! Do you have a favorite Disney Princess? My daughter has a few top favorites, but her all time favorite is Princess Merida. 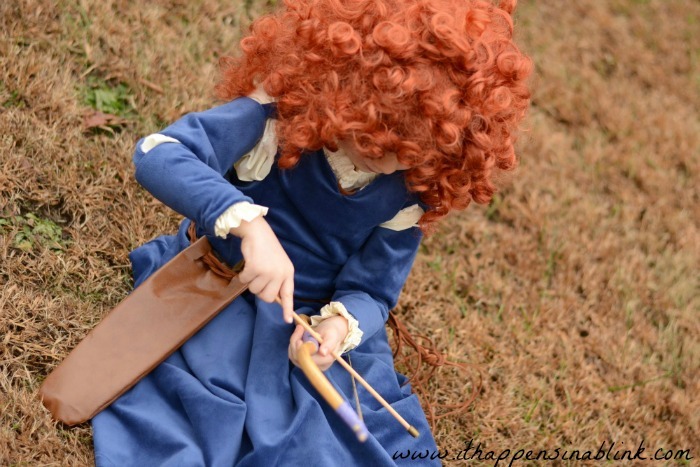 After all, if Merida can survive having triplet brothers, my daughter says that she can, too! The first year that the boys were born, my daughter dressed up as Princess Merida and the boys were little bears. Yes, it was as super cute as it sounds. How do Disney Princesses help your child to Dream Big? My daughter and I like to have our own girl’s nights, this would be a perfect project for us to try. Thanks for sharing! LOVE these all so much. The princesses help us dream big by taking action and risks and causing their own dreams coming true! These are so, so adorable! My daughter would love these. Thanks for sharing! This is adorable, might make some for my nieces! How cute. 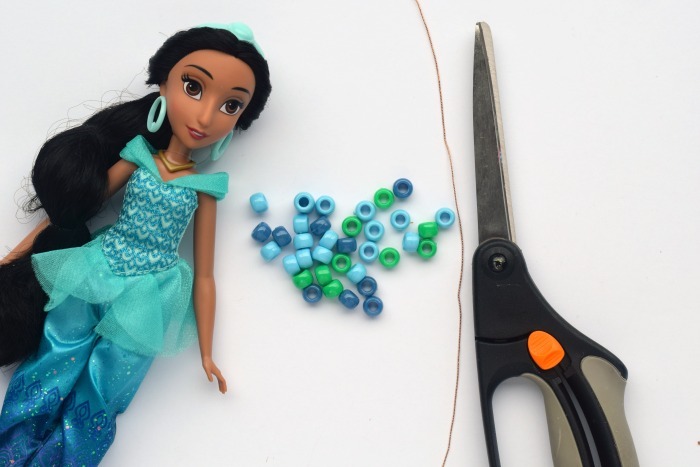 Love Disney and easy crafts for kids. How darling and fun to make. The girls in my family will certainly love making the bracelets. Thanks for sharing all of your ideas. so cute! this is such a great idea. Pinned it to make soon! These bracelets are so adorable! My girls would love them! My daughter would love to make some of these!